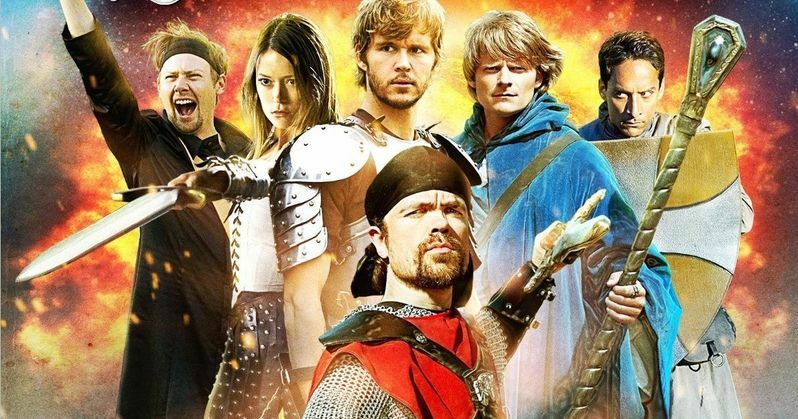 The world of live-action roleplay takes center stage in Knights of Badassdom, which is playing in theaters through the Tugg format beginning January 21, and will debut On Demand and digital February 11. Peter Dinklage and Steve Zahn star as Hung and Eric, two long-time LARPers who try to get their friend Joe (Ryan Kwanten) interested in this unique and immersive experience. We have an exclusive clip from director Joe Lynch's new comedy, which shows Joe waking up in full body armor, as he tries to adjust to his new surroundings. Fantasy and reality collide on the Fields of Evermore in an all-out epic battle of make-believe wizards, demons and assorted mythical creatures. Their courage and friendship is put to the test as they attempt to vanquish the evil they have summoned. Will the group prove to simply be foam sword-wielding LARPers, or true Knights of Badassdom?